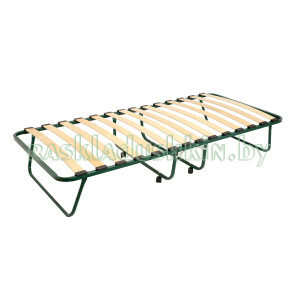 The folding bed is presented as metallic frame fixed at four metallic supports. 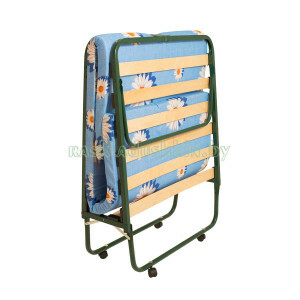 The latoflexes (curved glued wooden spring plates) fixed at the frame by means of special holders are used as the base board. 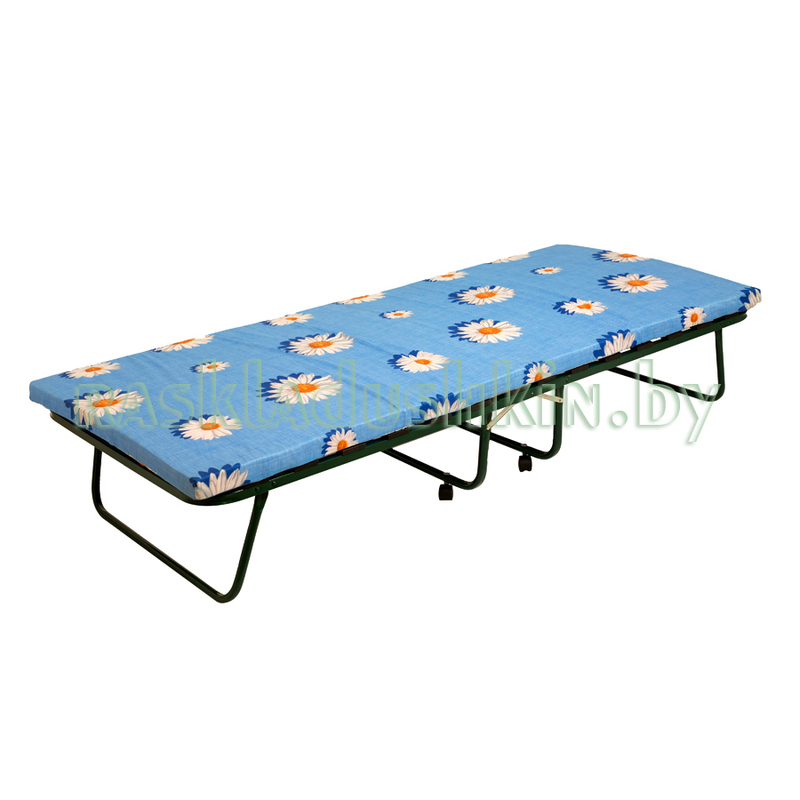 The bed is completed with the mattress stuffed with polyurethane foam sheet of 50 mm thickness. 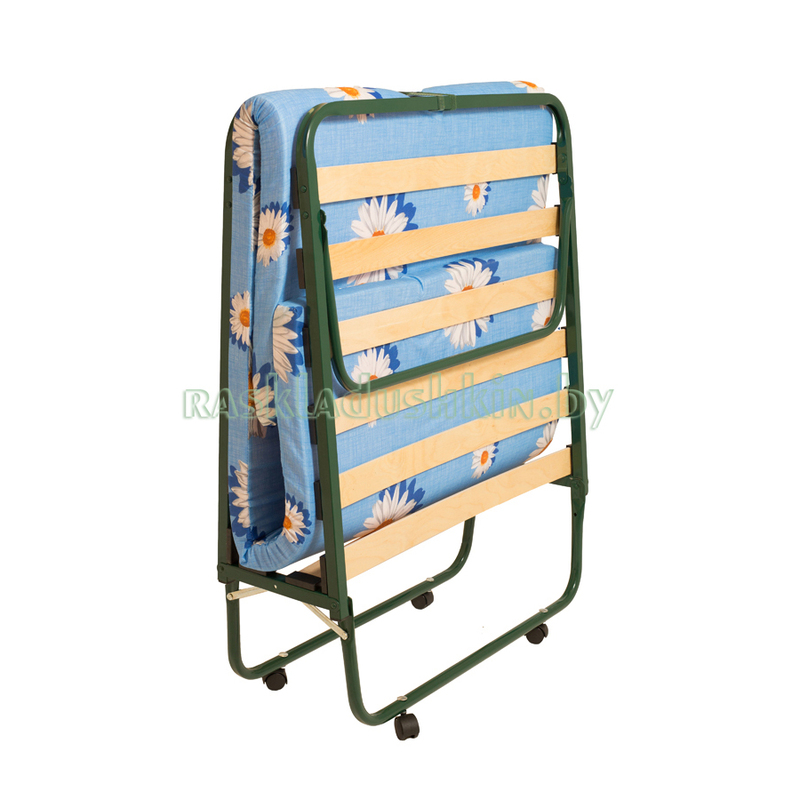 To make the bed’s removal comfortable in folded position, the rollers are installed at two medium supports. Metallic frames are made of firm steel shaped pipes with 25x25mm cross section and 1,2 mm thickness.